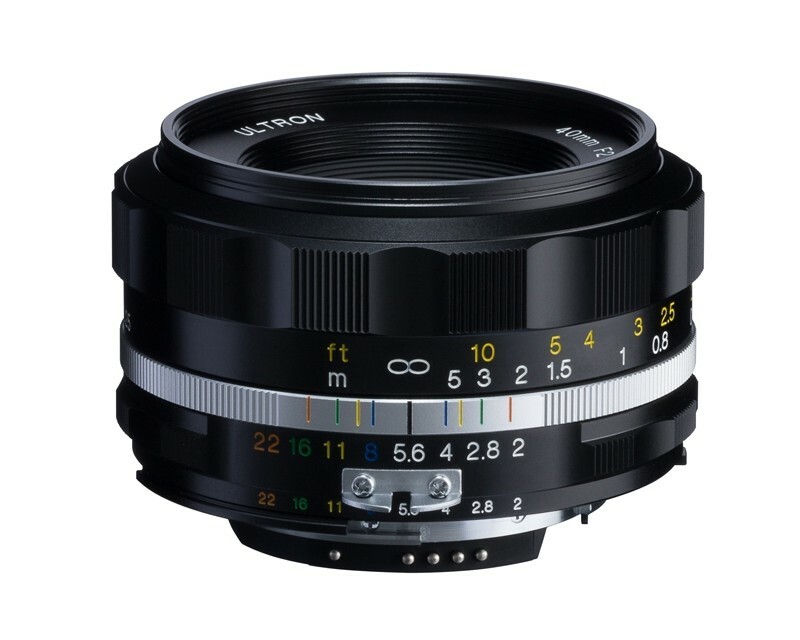 The third 40mm f2 from Voigtlander is the second SLR lens with the 'II-S' title. Much like the 58mm, a chassis change has been undertaken. Firstly, what a beautiful lens. A reminder of an old Nikon lens to some of us! Signature 'bunny ears' gives a rather nostalgic retro look. Available in Black or Silver. Expected week commencing 4th September. The 40mm f2.0 Ultron SL II-S Aspherical Lens from Voigtlander is an ultra-sharp manual focus lens for use on Nikon full frame DSLRs and SLRs. When mounted on a camera with an APS-C size sensor the focal length translates to 60mm. The lens' manual focus action is very smooth and precise and its aspherical, multi-coated optics create sharp images with minimal aberration. Metering and exposure information is passed between lens and camera thanks to the lens' CPU which provides auto-functions with virtually every compatible Nikon 35mm and digital SLR.